(HealthDay)—It's not just your skin that needs protection from ultraviolet rays, health experts warn. UV rays from the sun can cause corneal sunburn (photokeratitis) and UV damage that has been linked to macular degeneration, cataracts, cancer and pterygium (a growth on the white part of the eye), according to Prevent Blindness, a nonprofit eye health and safety group. The group has declared May as Ultraviolet (UV) Awareness Month. While everyone is at risk of sun-related eye problems, the threat is highest among people who: spend long hours in the sun; have certain retina disorders; have had cataract surgery; and are on certain medications—such as tetracycline, sulfa drugs, birth control pills, diuretics and tranquilizers—that increase the eye's sensitivity to light. 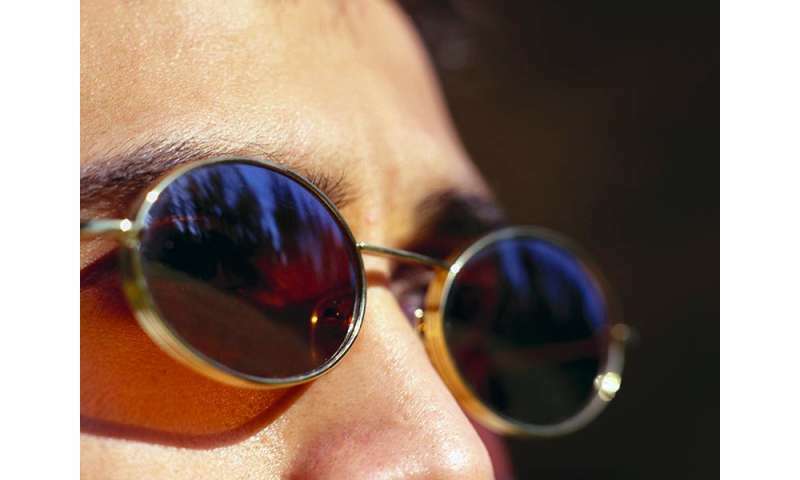 When buying sunglasses, choose those that clearly state that they block 99 to 100 percent of UV-A and UV-B rays. Wrap-around sunglasses are best, and sunglasses should be worn in conjunction with a brimmed hat, Prevent Blindness recommends. For outdoor sports, talk to an eye care professional about eye protection that blocks UV rays and also protects eyes from injury. "Consistently wearing effective UV eye protection is a habit that we should practice year-round, not just in the warm-weather months. By wearing UV-blocking sunglasses and a visor, we can help protect our vision today and for years to come," Jeff Todd, president and CEO of Prevent Blindness, said in a news release from the group. More information: The American Academy of Ophthalmology has more on the sun and your eyes.